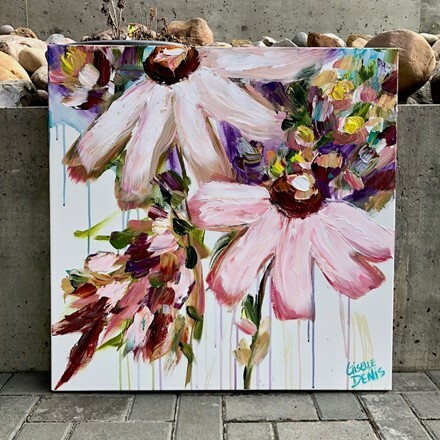 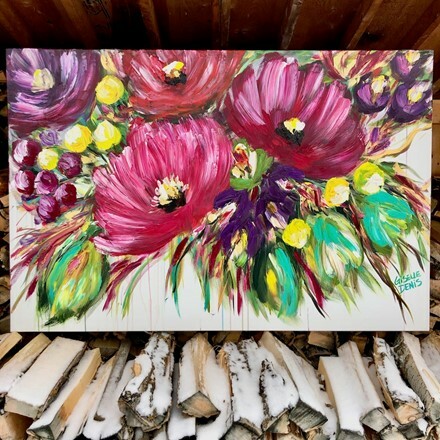 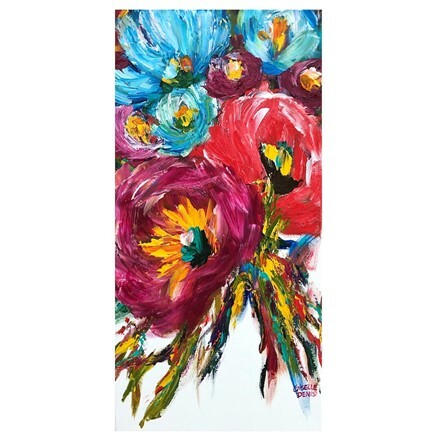 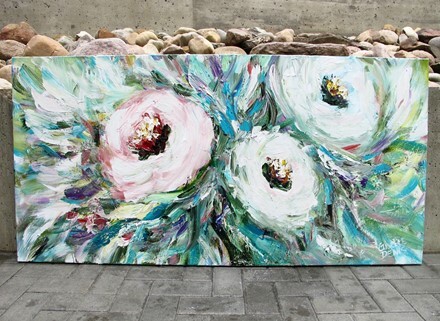 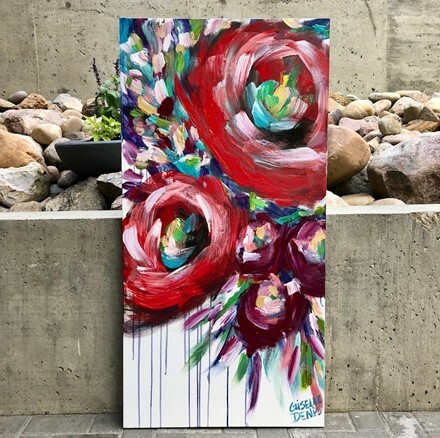 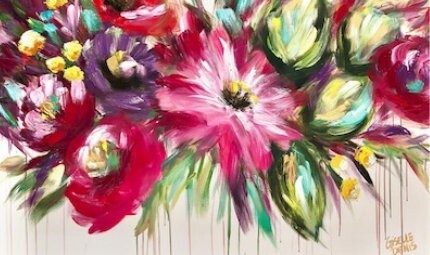 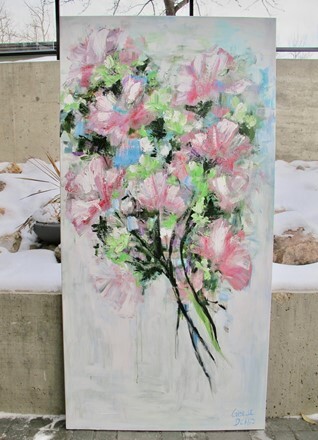 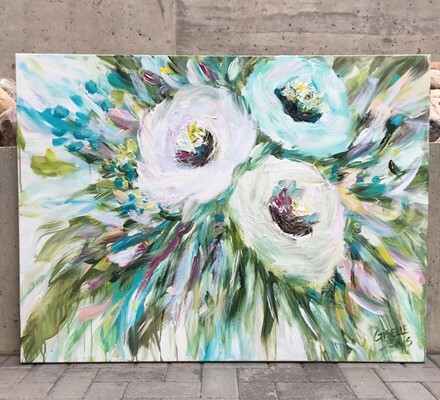 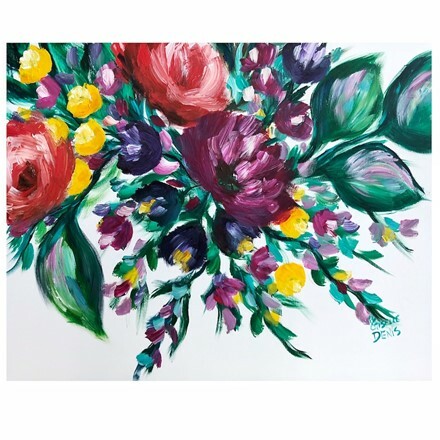 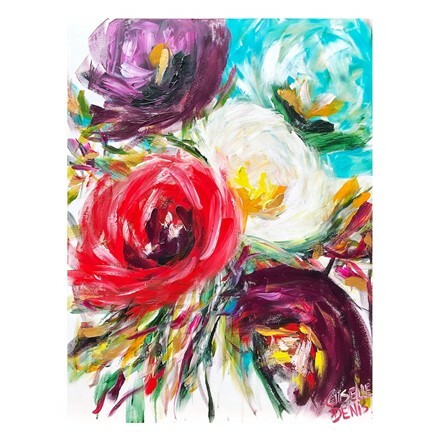 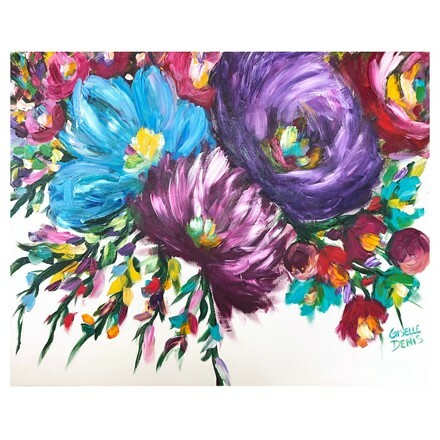 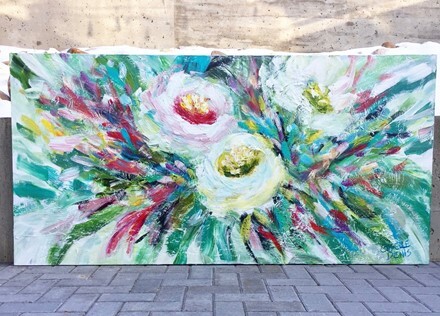 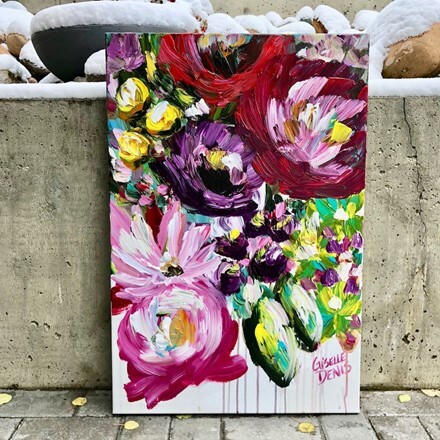 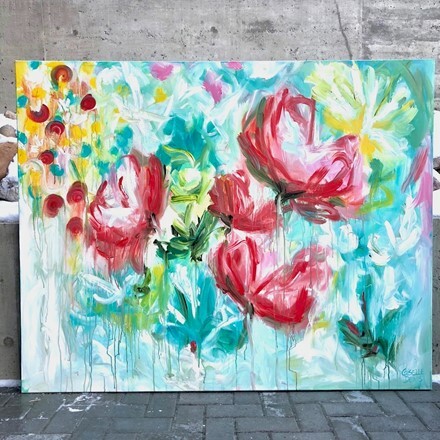 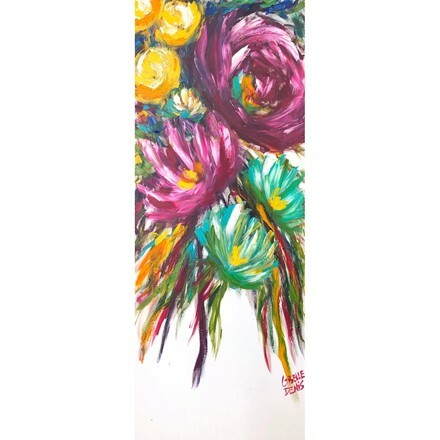 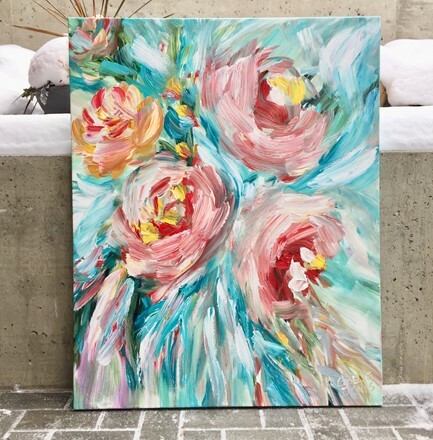 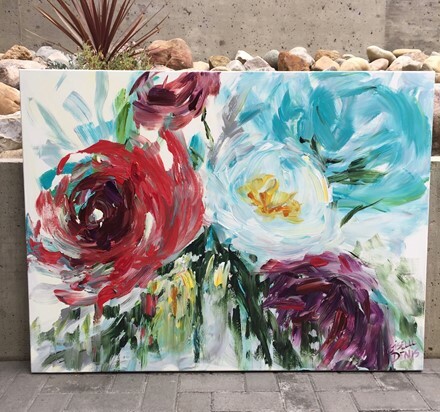 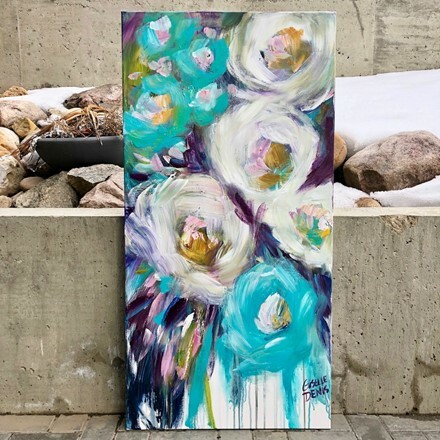 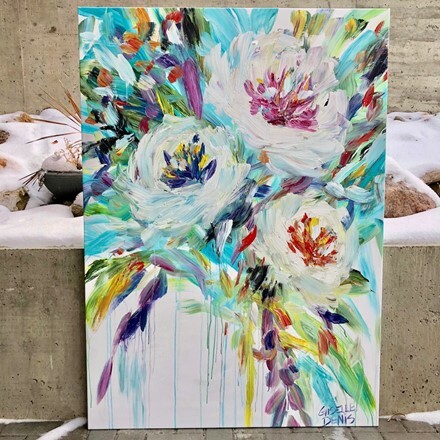 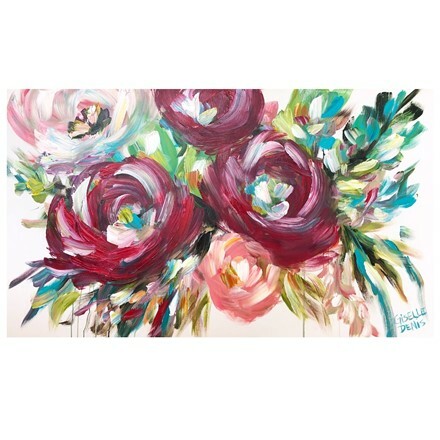 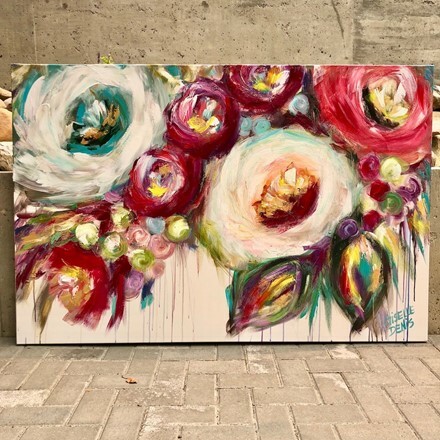 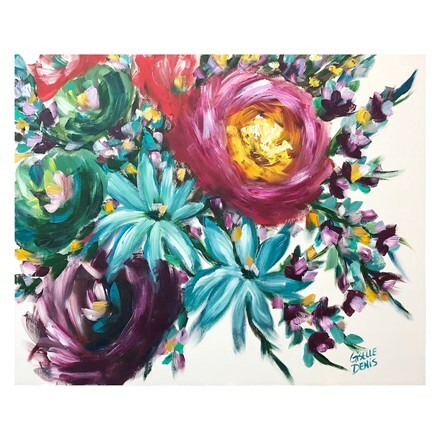 An abstracted flower series inspired by gardens and wildflowers created with large, quick brushstrokes. 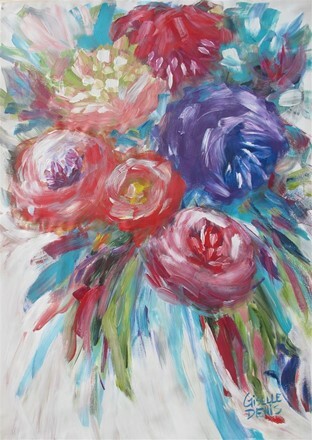 This series, most often painted to music, allows for greater movement and freedom of expression in my creative process. 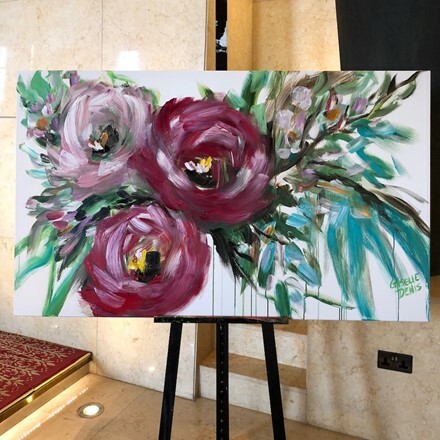 Half of my works are created in the privacy of my studio, and the other half have been painted on location either at the Fairmont Hotel Macdonald in Edmonton, Alberta, Canada and the Raffles Hotel in Dubai.